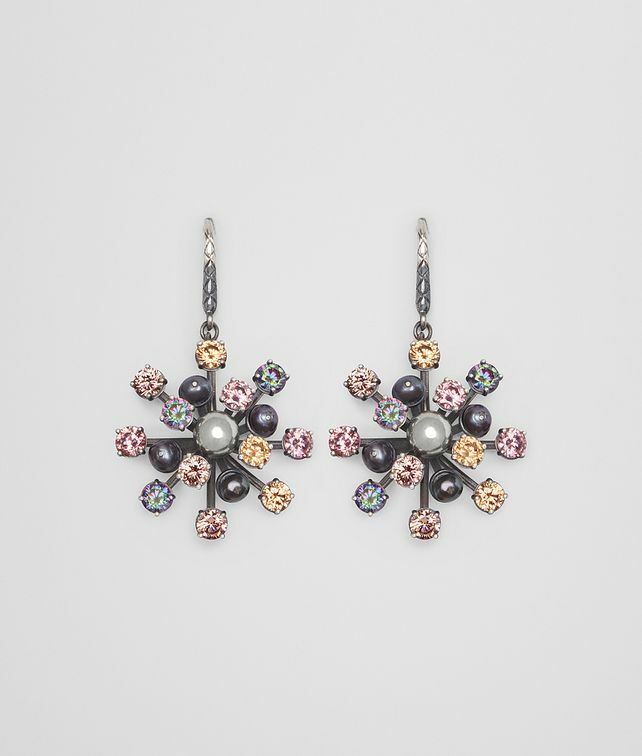 These striking earrings, featured in the Cruise 2019 presentation, are designed in a starburst shape with a fresh mix of freshwater pearls and cubic zirconia stones. They fasten with a hook piercing engraved in the intrecciato motif. Length: 4.5 cm | 1.77"
Element Diameter: 2.5 cm | 0.98"